Clarke wrote Side Partners as a duet for cornet and euphonium. He also performed it as a solo, and as a duet with another cornet player. 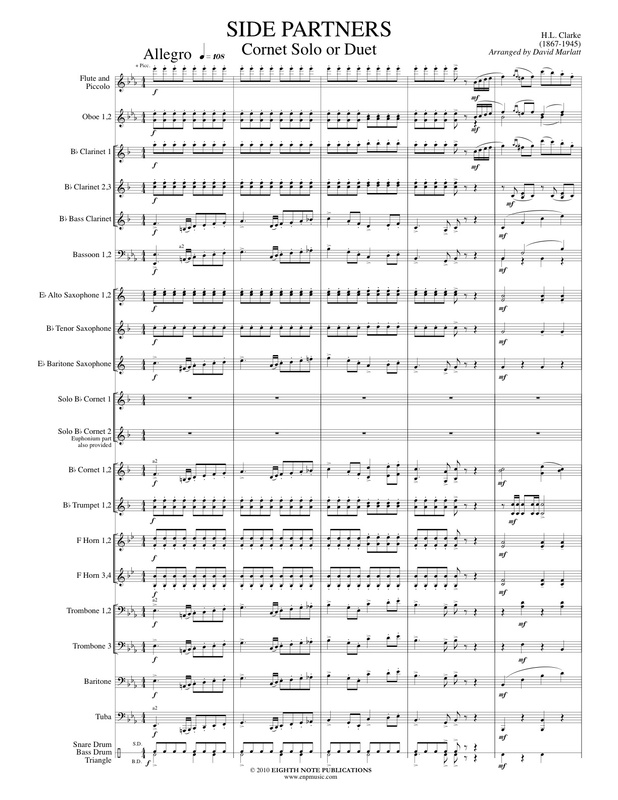 This is the first time this work has been available with a full conductor score rather than a piano reduction. Alternate parts have been provided for cornet, euphonium and alto saxophone to allow for the maximum in flexibility.